See the world like you’ve never seen before. 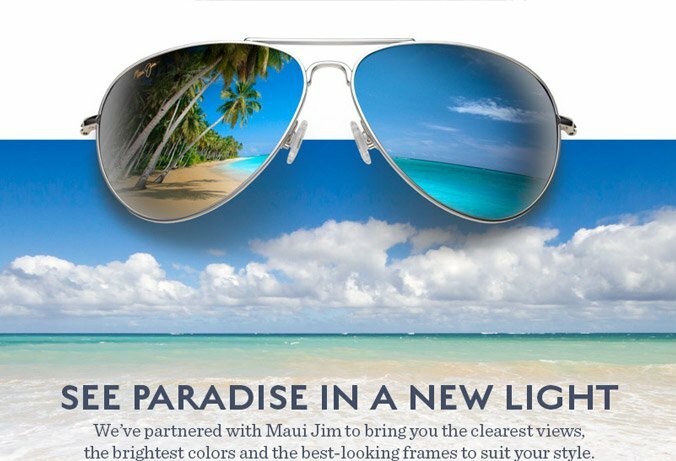 Maui Jim believes that colour and light are the key to human experience. Inspired by the beauty and culture of Maui, their mission is to spread aloha through vivid colour, clarity and detail. Maui Jim is a high performance polarised sunglasses and one of the leading sunglass brands of the world. The unique technology of Maui Jim is not only available in standard sunglasses but also in prescription lenses for both single vision distance and multifocal lens design. Maui Reader are an exclusive range that offers the convenience of a hidden bifocal positioned where you need it to optimise vision near and far.